Fine. No DJ. Beautiful leatherbound Easton Press Edition. Text tight and clean; no markings from previous owners; full leather over moire silk endpapers. Raised bands on the spine, with gold decorations and titles on spine and cover. All edges gilt. Silk bookmarker. PICTURES PROVIDED UPON REQUEST. A used book in perfect shape! It arrived quickly in great condition. This is a very dry, complicated (at times, unnecessarily so), and long book. The text is filled with technical terms from Phenomenology (a small philosophical tradition that was created by Husserl in the twentieth century) that most readers will have an incredibly hard time understanding. It took me a whole summer to read this book, and I required a lengthy exgesis to follow the arguments. 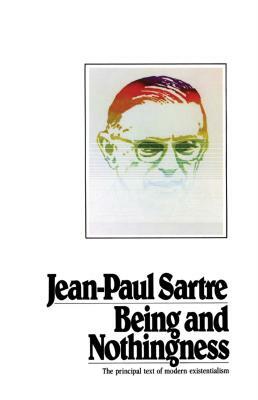 For those interested in Existentialism, but do not know much about modern philosophy or phenomenology, I suggest reading Sartre's "Existentialism and Human Emotions" instead.